I loved the conversation with Lily [Girlz 4 Christ’s Assistant Editor] because she was passionate about reaching out to other young women. What can you expect to find in Girlz 4 Christ? The magazine features devotionals, media reviews, spotlights on interesting service projects, and more. I enjoyed the opportunity to write an article for the online Christian tween girls quarterly magazine Girlz 4 Christ. I’m so excited and honored to be a part of this Christian magazine! I really loved the articles I read. So encouraging and inspiring to help girls focus on living by faith in Christ! 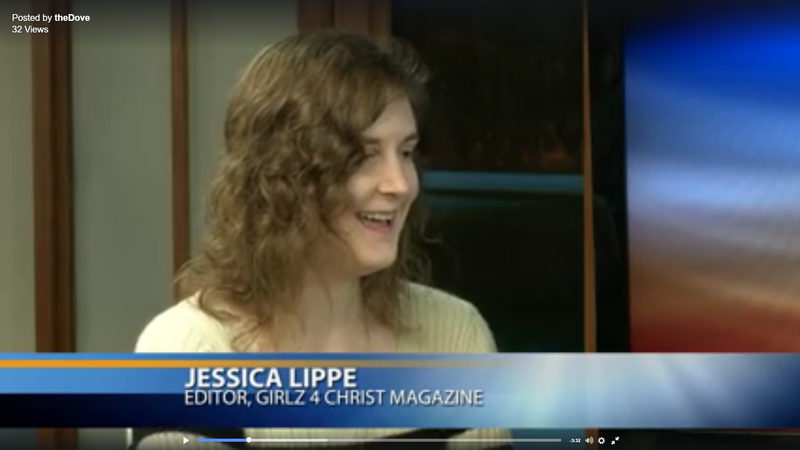 I loved the focus on godly femininity and how the magazine allows girls to submit articles to share – regular Christian girls who may never have written for a magazine before. They also have more experienced writers, as well. So there is a large range of voices contributing to the magazine which I greatly appreciate…There were articles with ideas about how to get the most out of reading the Bible and about how to encourage meditating on God’s Word. There are also articles with creative ideas for crafts and recipes that would be fun to try. I especially loved the true stories that featured various girls around the world and how they are serving God passionately and the articles about how to grow in Christ and how to learn to hear God’s voice. What a beautiful thing to have some real life role models in our faith! I was also glad to see an article from last fall to help girls better understand how guys think and about the beauty and value of modesty.